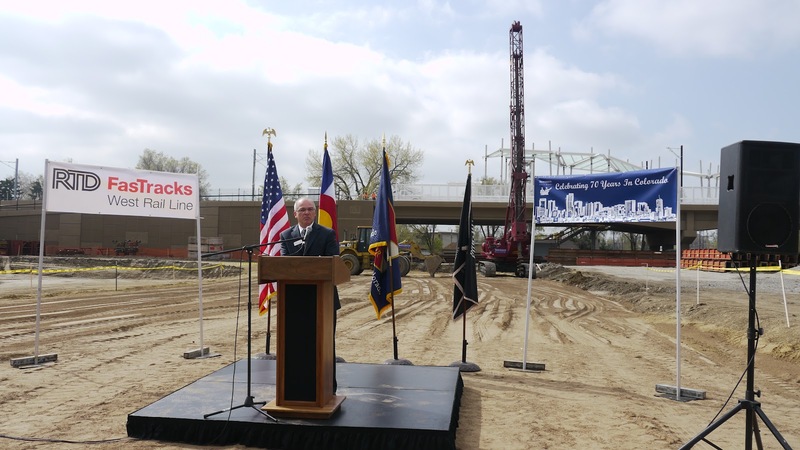 We were lucky enough to be on site last month to see Swinerton Builders Colorado break ground on a new parking structure for the Regional Transportation District’s FasTracks West Rail line. The 1,000-space garage, located at 14th Avenue and Wadsworth Boulevard in Lakewood, is expected to be complete next year. 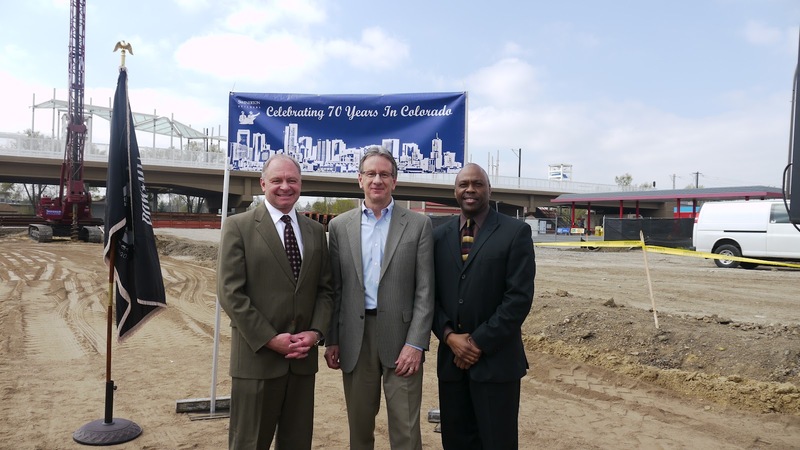 The garage will serve more than 5,000 riders each weekday, who will use the new light rail line to travel between Denver, Lakewood, Golden and Jefferson County. More than 150 people turned out for the groundbreaking, including Lakewood Mayor Bob Murphy, who cited the project as a major step forward in the city’s revitalization efforts. Scott Conrad, Swinerton Builders Colorado Division Manager, also shared information about the economic impact of the development, which is expected to employ an estimated 300 people. 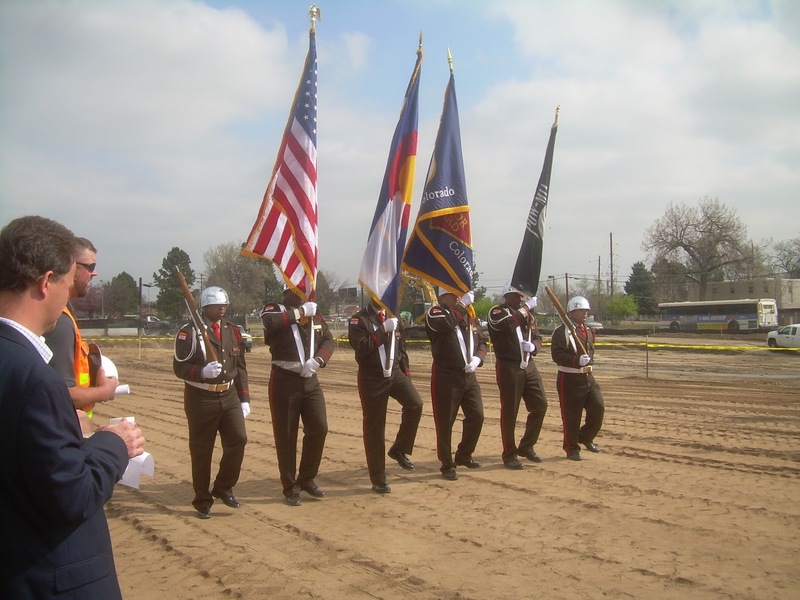 News of the project’s start also drew the attention of 9News, 7News and The Denver Post. Scott Conrad addressing the crowd. Speaking of jobs, the Post also interviewed Scott about boom in construction employment in Colorado. You can read about it here. 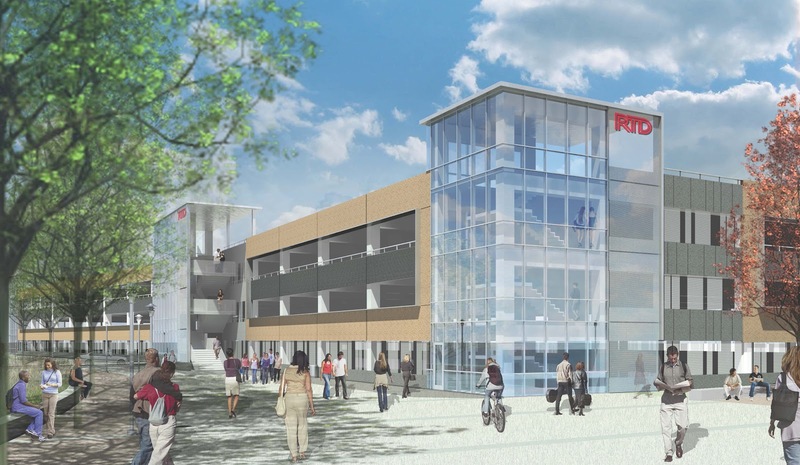 Swinerton is on the leading edge of that boom, thanks to several high-profile projects, including a renovation of the Agilent Technologies campus in Colorado Springs and a recently completed office project for Google in Boulder. Swinerton plans to increase its professional staff by 20 percent this year. 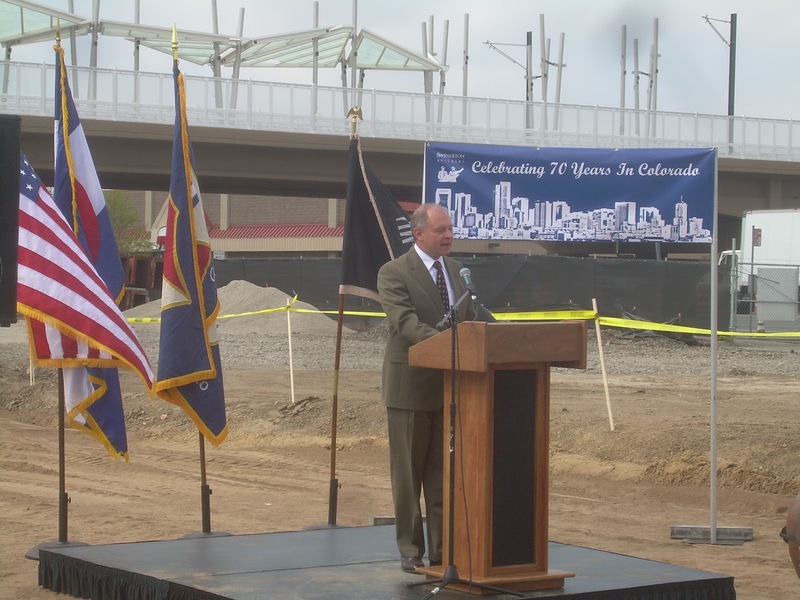 The company will be celebrating its 70th anniversary in Colorado this year, so stayed tuned for more news about how Swinerton will mark this special milestone.